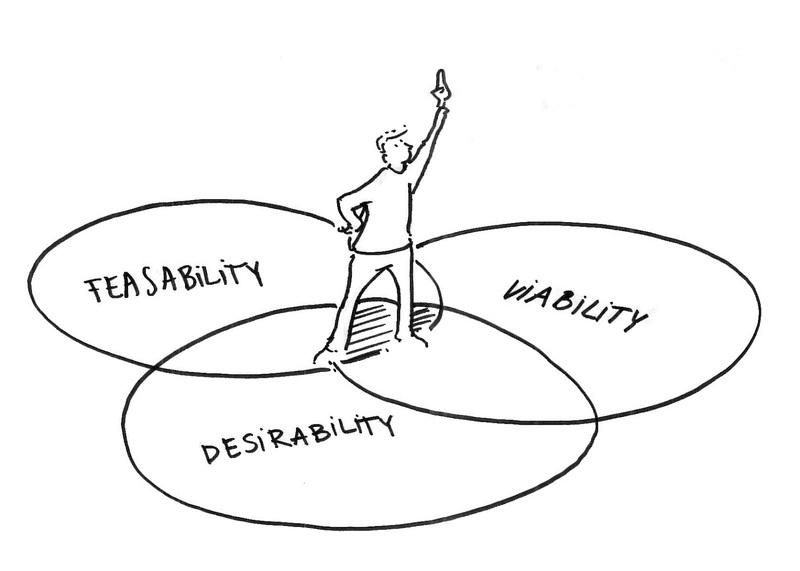 What is user centered design thinking? user centered = being user centered means that your frame of reference for creating a system, a product or business model is always the potential or intended ‘user’. Immersion in the user’s environment, also known as ethnography or user research or user observations or whatever you want to call it, allows one to stand within the constraints and context of the environment in which your audience operates. 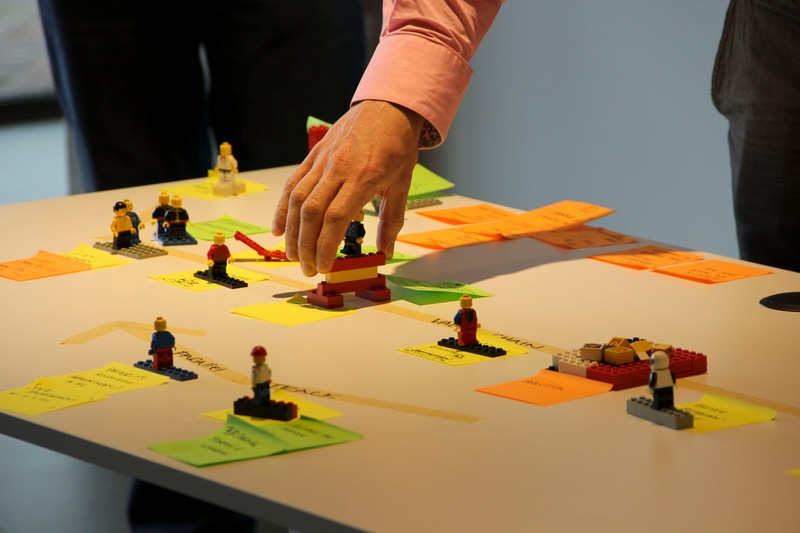 This experience, thus, allows you to gather and collate insights into the context in which your implemented design will work to solve a problem or challenge. More formal methods of information gathering such as camera studies, interviews and behavioural prototyping add metrics and data that help guide the intuitive response to a possible solution or first prototype of one. One could say that becoming user centered means to pull oneself out of one’s own frame of reference in order to place oneself in another’s shoes. Through this, we come to know the general constraints and outlines of the recommended approach or solution that will be the end deliverable of such an exercise. Now we come to the infamous and much abused term, design thinking = It is ultimately yet another attempt to find a name for a whole brain approach to problem solving, one that uses the logical analytical tools and frameworks of the business world as well as the fuzzier, more intuitive ones from the world of design. 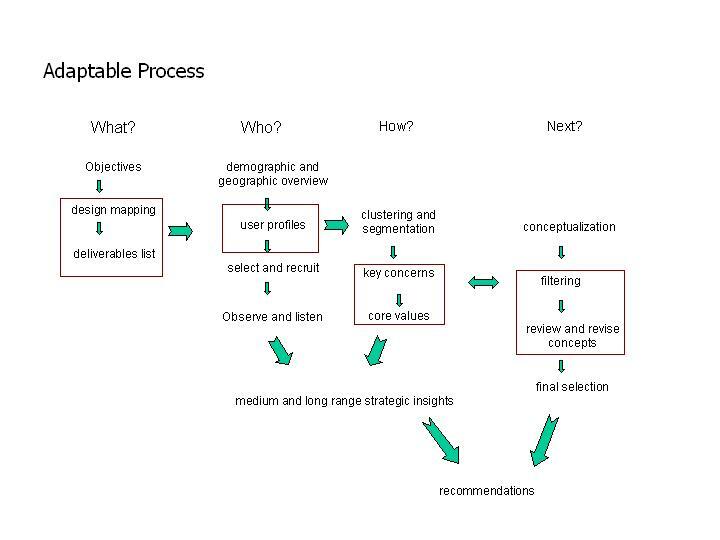 Key is knowing when to use which metric or tool in order to best communicate the intent of the proposed program, the goals to be achieved or the problem or challenge to be addressed thus providing a roadmap or direction for the prototype that is implemented in the field to be tweaked into or measured up against. But overall, if the user centered design thinking approach to solving large scale systems design problems is to be successful, the key challenge is to frame the problem correctly at the outset. Once we are able to frame the problem correctly, addressing the real challenge or the unmet or undiscovered need, as more formal product designers are wont say, the design brief essentially writes itself as there is always that overarching goal that one can measure one’s progress and results against. At each stage one asks are we addressing the correct problem or challenge? I started this train of thought last night on Twitter with the title of this post, that arrogance did not make for good human centered designers if they thought they knew better than their end users and were not listening to them. Dirk Knemeyer encouraged me to write it all out in more than 140 characters. Apple is a popular example held up of this self centered approach to design, that customers were unlikely to know what they wanted so it was upto the powers that be to provide them with the latest greatest, shiny toy to drool over. Apple’s target audience is more like themselves than disparate in incomes or infrastructure. Think about that for a minute. That has nothing to do with geography. Apple is an aspirational symbol of disposable income. The price point, business model and distribution geography alone clearly demonstrates this focus. Certainly, anecdata points to the Kenyan taxi driver with an iPhone. All of the above characteristics create the aura of exclusivity, thus status symbolism for the common man on the street. You have secure and daily access to electricity, the visible ownership of this product communicates, or at least have the money to pay for charging services. Indubitably, Apple’s product design is “good”, if not “great” or “superfantastic”, but who is good for? And in which context? “Good” in design (UCD) is not disconnected from context of customer’s needs, lives and environment. If it is, its art. Industrial design’s roots are in commercial application and increasing saleability of product. Else, why invest in making something desirable? If you find yourself answering “To make it desirable for its own sake”, distinguish that answer from “What is art?” as a question. How many examples of “good” design award winners are we aware of that never made an splash in their intended market, much less a ripple? The OLPC won design accolades. The LifeStraw won design awards. The d.light is in the British Museum. The Hippo Roller was going to change women’s work. Today, I came across an article in FastCo written by one of Monitor/Doblin’s people, Melissa Quinn, whose bio seems to imply she is responsible for selecting the right mix of professionals from both business and design. Reading What Both MBAs And MFAs Get Wrong About Solving Business Problems took me back in time to a wholly different era, just about 7 years ago to the Spring of 2005, when “Business” and “Design” first began to intersect on a graph that had until then been asymptotic. That I feel grandfathered is a side effect, but that the conversation has gone nowhere in these intervening years is a much worse feeling for one who has been immersed in this conversation for a decade. And, I was a latecomer as those articles reveal. And I was less than impressed with the business-thinking skills of designers the following Monday morning, when I interviewed 10 of them at the Institute of Design in Chicago for jobs at Doblin. To most candidates, I asked of the ideas they presented in their portfolios, “But how does it make money? Who will pay for that? How much would you need to sell to be profitable?” and was met with far too many blank expressions when I did so. Design schools have a long way to go to integrate good business thinking into their programs. In order to make their value known to the world, designers need to speak the language of business–that’s where great ideas get funded and developed. Design education needs as much of an overhaul as business education if we are to benefit from the talents of design thinkers in the business world. I hope that we see meaningful reinvention of both design and business education so that the business world can realize the true value of design thinking. Until that happens, Rotman’s Business Design Club would be wise to require challenge teams to comprise both designers and MBAs. At least it would level the playing field, and it may improve the educational experience for both–assuming each can decipher what the other is saying. “Ahh, my poor students” was my first thought, forgetting that I’d not been Director of Graduate Admissions and head of the department for all things students since the summer of 2005. Ironically, most of Doblin’s current team are either former classmates or former admits, can you blame them for raising the bar too high for new recruits? Still, pride in the past aside, one must now ask what the problem is with the curriculum and the teaching at the Institute of Design if after 7 years they still haven’t learnt to think about the bottomline? After all, hadn’t I taken Design Planning with Doblin’s Keeley himself? His curriculum began (in the Fall 2003) with an introduction to most of Porter’s classic frameworks of strategy and competitive analysis interspersed with the usual suspects from Bschool textbooks. If anything, that should be the program (Human Centered Design Planning) that should have incorporated the need to think about business models from the revenue generation point of view. The joint MBA/MDes came much later – in fact, Brad Nemer was the very first student to attempt both these degrees together in 2002 and that too, both were extremely intensive fulltime programs. It had taken a lot of kicking and screaming internally, if I recall those faculty meetings correctly, to finally create the merger of the two degrees into something a human student could conceivably achieve within the 2 year span. I know that even back then, many students were planning on taking the basics of finance and accounting but today, in the Spring of 2012, I am surprised to read that business model design with the attendant consideration of revenue models and payment plans are still giving the design students a “blank expression”. The irony of Melissa Quinn’s complaint in FastCo is not lost on me when you consider that the original Institute of Design – Moholy-Nagy’s new Bauhaus – was reinvented by Jay Doblin himself. (Read that linked PDF, its Doblin’s “A short, grandiose theory of design” that first puts forth the need for design to think about business and its goals) and that Keeley is on the Board of Trustees. and leave it to the powers that be at ID-IIT, Chicago to ask themselves what progress they’ve made in this century.